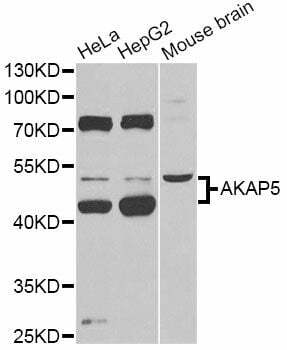 Western blot analysis of extracts of various cell lines, using AKAP5 Antibody at 1:1000 dilution. 1. Studies indicate the importance of the AKAP79/PP2B/protein kinase A complex's role in synaptic long-term depression in the CA1 region of the hippocampus.